Do you have to get the latest iPhone model to be able to experience virtual reality on it? Most people don’t get the latest iPhone every time a new model comes out which means most people stick to their older phones. While an older model may be missing a few new features, they still work fine and can run most of the apps available. The iPhone 7 Plus isn’t the latest, most advanced iPhone. That doesn’t mean you can’t have some pretty amazing VR experiences with your phone. Of course, before that, you need to have the best VR headset for iPhone 7 or Plus model. There are several VR apps, both paid and free, available for your iPhone 7 Plus. To help you get started, I’ve put together a list of the best Free & Paid VR apps for iPhone 7 Plus. 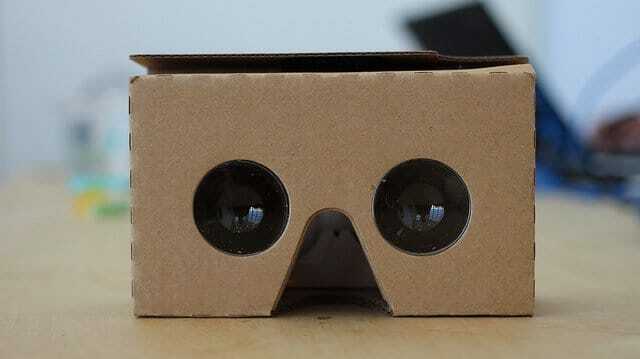 Google Cardboard has two things going for it that put it at the top of our list. First, it’s a set of VR goggles. If you want to experience VR on your iPhone 7 Plus the way it was meant to be, you need virtual reality goggles. There are lots of goggles and headsets available, but Google Cardboard is among the least expensive (check the price on Amazon). Second, Google Cardboard is more than just glasses, it comes with five VR experiences to give you an idea of what VR can be on your phone. These experiences include hikes through cities, virtual museums, an arctic journey, and more. If you have to get goggles anyway, why not get some with some VR experiences built in..
Youtube is the most popular video hosting and sharing site on the Internet. You probably use it all the time, but did you know Youtube has VR content? There are tons of videos that offer 360-degree viewing. When you watch these videos and turn your head, your view will turn as well allowing you to see everything around you. If you search for anything with 360 or VR in the title, it will most likely be a VR video. Youtube is a free VR app and of all the free or paid virtual reality applications, Youtube probably has the most content. There is also a VR mode for Youtube which allows you to watch any video in VR. If the video isn’t natively shot for VR (like the 360-degree videos are), then YouTube will show you the video like you are watching it on a big screen TV a few feet away. It’s pretty neat, at least for the first few times. Finally, there’s the Youtube Virtual Reality Channel. The channel currently has over 3 million subscribers. It is a collection of VR videos available on Youtube that include a wide variety of video genres. NYT VR is the New York Times VR app. It is a free app. Rather than just getting your news via articles and news clips, NYT VR has very well produced stories told through virtual reality that let you experience the news like never before. It was momentous the first time reporters were able to do reports on the scene, especially in war zones. It helped people get a better sense of what was actually going on. With the VR stories, you are able to be on scene yourself (virtually), giving you the most realistic idea of what is happening in the story. The NYT VR stories provide a way for you to go to places and experience situations you wouldn’t normally be able to, including exploring the Antarctic, being embedded with Iraqi forces fighting ISIS, or and climbing the spire of the World Trade Center. The VR stories are high-quality produced content, so don’t expect to have VR available for every news story or even have new stories every day. Orbulus is a free 360-degree photo viewing app which allows you to view places you have never been before and even places you cannot go. The app has a library of orbs (thus the name Orbulus). 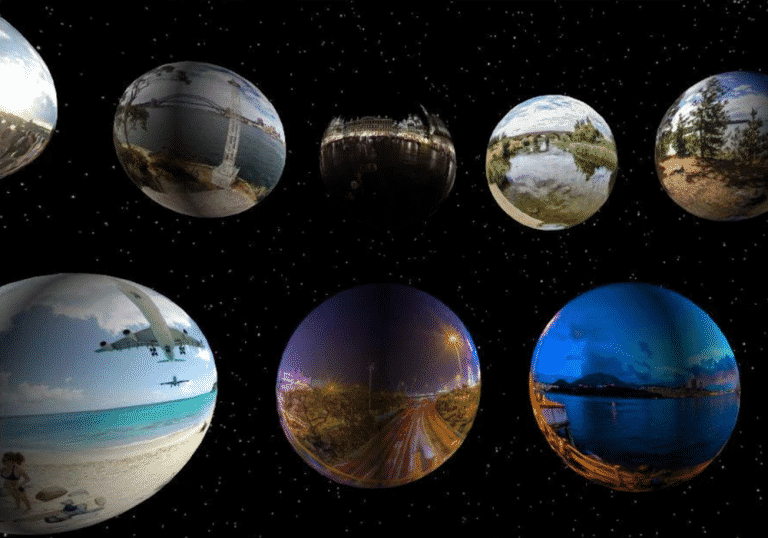 Each orb is a 360-degree version of a photo which makes you feel like you are standing in the location of the photo. There is a wide variety of orb locations to choose from. You can virtually visit some of the hottest tourist locations in the world such as the pyramids of Egypt. You can even virtually stand on the surface of Mars. Note that while the images are clear and beautiful, they are just photos. You cannot move around the locations. Nonetheless, it is a much more immersive way of viewing the photo of a place than looking at a flat image in front of you. 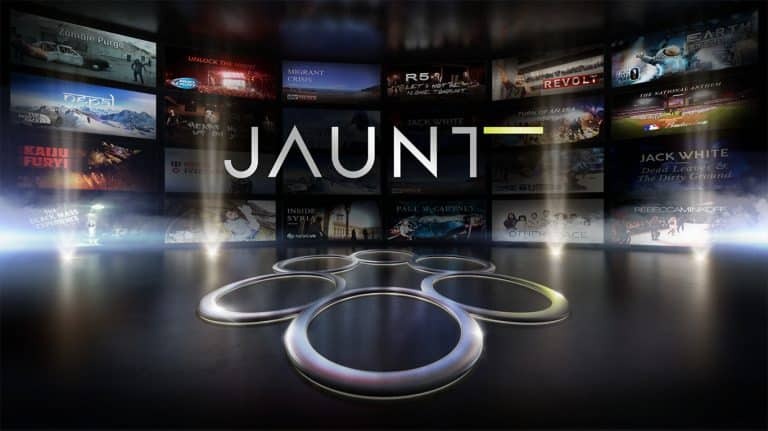 Jaunt is a free VR app a variety of content for you to experience. It has over 200 different scenarios from stories, to concerts, to travel videos and more. In real life, not everything you want or need to see happens right in front of you, as it does on TV or the movies. Jaunt captures that reality. These videos have 360-degree viewing allowing you to look around as the story or experience unfolds. There are studio produced stories (like TV, but in VR) for your entertainment. There are also adventure video series allowing you to broaden your horizons without spending all your money on airline tickets. You can experience ESPN Gameday is a whole new way, or you can sit back and enjoy Paul McCartney in concert. The wide variety of experiences can provide hours and hours of entertainment. Have you ever wished you could travel into the human body and see what it’s like, but you don’t have a magic school bus or sci-fi shrink ray? Your wish is granted. InCell VR takes you inside the human body for a bit of fun and some education. And it’s all free. Education doesn’t have to just be done with books and classrooms. Sometimes games can be a more engaging way to learn. 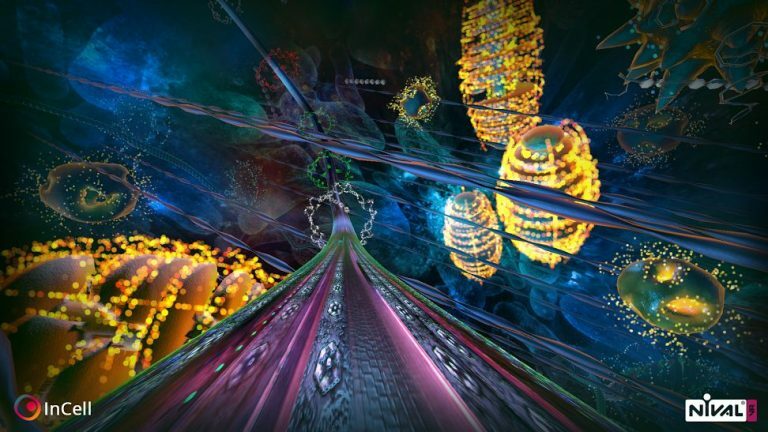 Incell VR is actually game where you are traveling around inside the body collecting points, but along the way you collect knowledge about biology, too. Pretty sneaky, but pretty fun, too. I wish my high school biology class would have just been a VR game. Google Street View has been around for a while now. It’s a free app. In fact, anyone with Google maps can go into street view mode and see any location. This can be extremely helpful when you are about to drive somewhere you haven’t been before. However, what better way to really see the location than by doing it in virtual reality. Google Street View in VR allows you to visit just about anywhere in the world. Unlike other 360-degree photo VR apps where you are stuck in the place the photo was taken, you can move around in Street View. Now, you can explore Paris and visit the Eiffel Tower or visit Stonehenge. Street View even has places to explore which you might not expect, like hiking through the Amazon rainforest or swimming by the Great Barrier Reef. Formerly known as VRSE, Within is a repository of virtual reality videos. These are high-quality, well-produced videos that go beyond the quality of most 360 videos on Youtube. 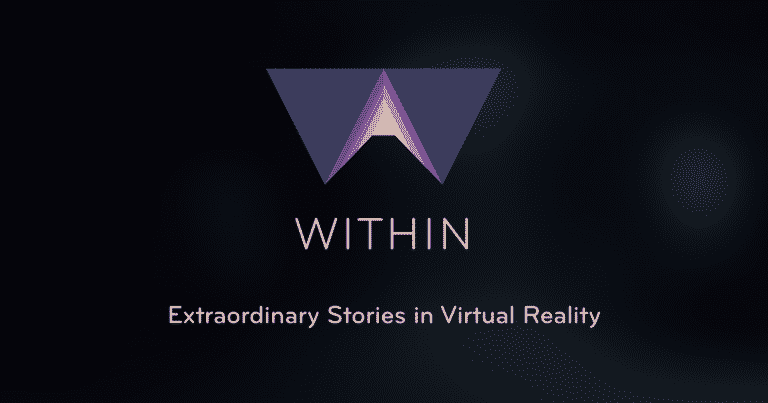 Within is story-based VR and has stories that cover a wide variety of subject matter. Some stories are serious, like news or education videos, and others are fun, like kids stories or music videos and more. The educational videos are so well done that, according to some of the reviews in the Apple iStore, some teachers have started using Within in the classroom. Despite the high production quality, Within is a completely free VR app. One particularly nice feature of Within is that you can download the stories onto your iPhone 7 Plus so you can watch them when you either don’t have a connection or don’t have wifi and don’t want to use your own data. This can be great for the kids (or adults) on a road trip. That’s right. Discovery channel has a VR app. Who doesn’t love watching nature shows on the Discovery Channel? For most people, everything they know about sharks came from watching Shark Week. Now, you can dive underwater in an immersive 360-degree environment and see those sharks. 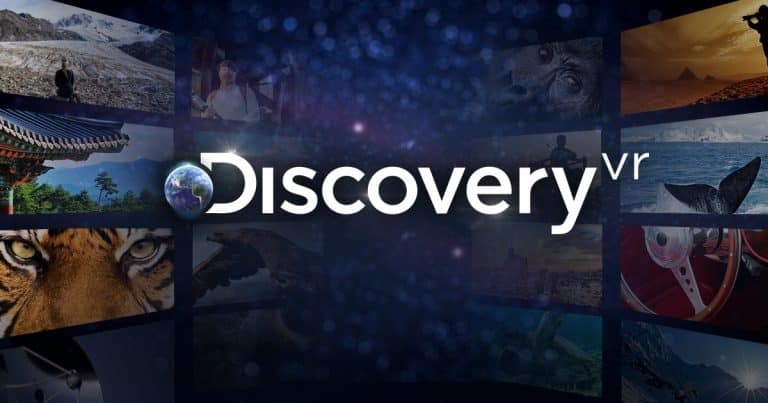 Discovery VR also has shows like Mythbusters and a wide variety of virtual experiences, including sword fighting, surfing, street dancing, and rollercoasters. As you might expect, being produced by Discovery Channel, the videos and experiences are top-notch, and there’s tons of content, and it’s all free. Discovery VR even has an offline mode for those times you don’t have wifi. VR has applications in a lot of fields these days, but its bread and butter is still gaming. Games have continually been trying to increase the realism, and virtual reality is the most recent big step in that direction. 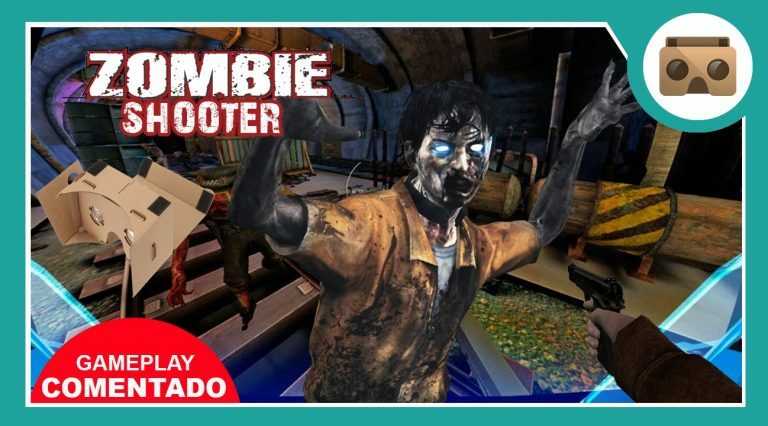 As the app name suggestions, Zombie Shooter VR is a first-person shooter game where you fight off the undead. This game is free. There are a lot of great zombie shooter games, but being in VR gives the added element of 360-degree play. The zombies are all around you, and you have to be watching all directions to protect yourself in this game. Life can be very stressful and often you don’t have the time or the money to jet off to some island resort for a little rest and relaxation. Now, you don’t have to. You can have your own little private vacation in the office during your lunch break. Relax VR has several photo-realistic getaway locations to give you the break you need. If the location, itself isn’t enough, there a guided meditation option to further help you relax and de-stress. 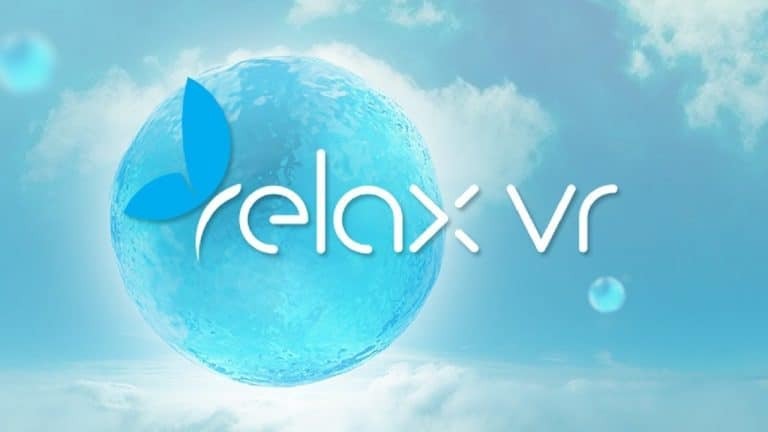 Relax VR’s price also won’t stress you out, only costing about $3. Certainly much better than the cost of flying to Aruba and staying in a suite. Doctors and scientists are even looking into the benefits of using relaxation apps, like Relax VR, to help treat people with anxiety disorders. With the high percentage of people suffering from anxiety and hypertension, VR may be a relatively inexpensive, but effective part of addressing these health issues. This is a personal favorite of mine. If you’re like me and love astronomy, Star Chart VR may top your list of favorite VR apps. Star Chart VR is a virtual planetarium. It is a paid app, but at a price of $2.99, it’s probably the least expensive planetarium you’ve ever been to. Like real planetariums, you can look around at the various planets, stars, and constellations and enjoy the brilliant night sky in ways most of us normally can’t due to light pollution. 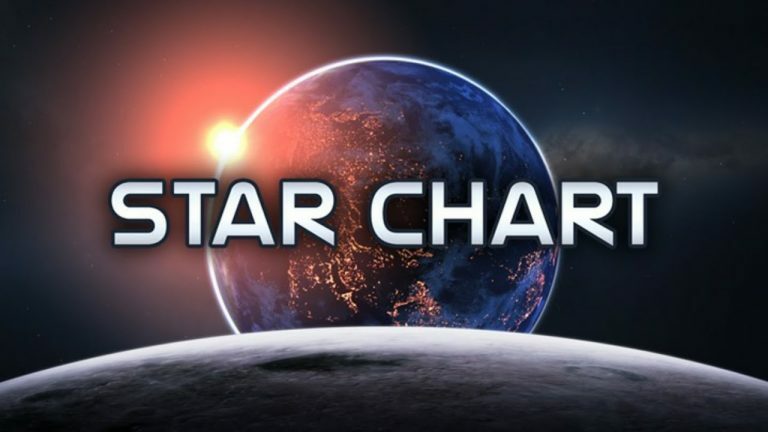 Star Chart VR also has added educational features. You can focus your eyes on various planets, stars, and other astronomical bodies and the app will display information about that object. Why settle for glow-in-the-dark stars on your ceiling, when you can have a virtual planetarium? It’s time to get your thrill on. 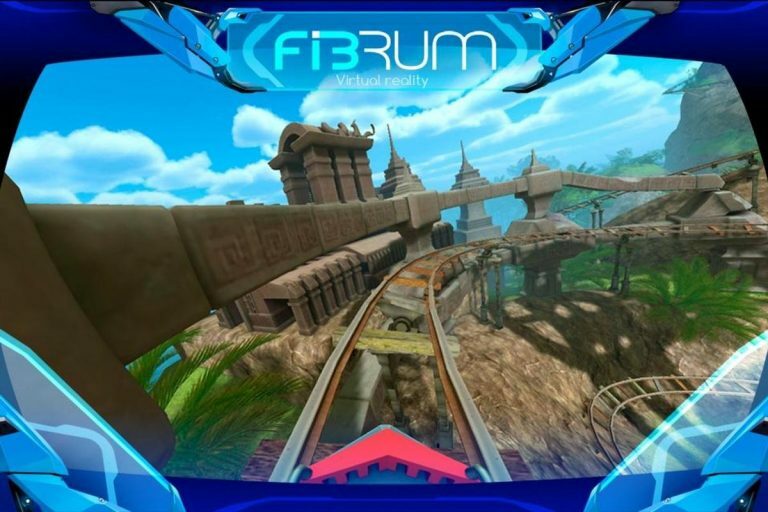 VR Roller Coaster will take you on an exciting roller coaster right without the hour-long wait in line or the $100 ticket price. The ticket cost for this ride is a whopping $0. The roller coaster travels through a huge city. There are loops, turns, steep inclines and declines, and everything else you’d expect from a roller coaster. One of the better features in VR Roller Coaster is that the city-scape and, thus, the roller coaster change every time you load the game. So, every time you load the app and hop on the roller coaster, it delivers a different experience. Since surprise is a great element on a roller coaster, this feature takes this app up a notch. Sisters: A Virtual Reality Ghost Story is…well…a virtual reality ghost story. It creates a creepy atmosphere that will put you on edge and has lots of jump scares to get your heart racing. 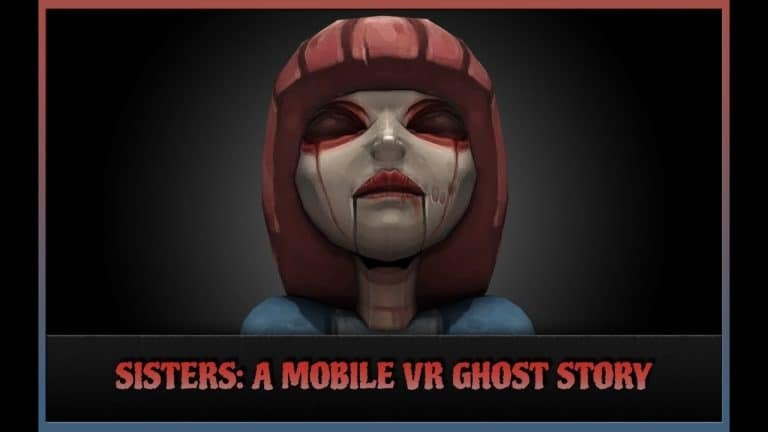 While this free app isn’t quite at the level of some of the horror stories and games you can get for Oculus or HTC Vive, if you are into horror, Sisters: A Virtual Reality Ghost Story will still give you a bit of a thrill. If there’s a downside to Sisters: A Virtual Reality Ghost Story, it’s that it’s pretty short. Also, like most games or movies that rely heavily on sudden images and sounds, the jump scares lose much of their effect the second time around. Space travel for ordinary people is getting closer and closer to being reality. However, we aren’t quite there yet. But that doesn’t mean you can fly your own rocket into space. With Lift Off VR you can launch a Falcon Heavy, the SpaceX rocket, into orbit, release your payload, and then land a booster rocket on a landing drone. This app is part educational experience, part game. You experience the rocket’s launch and ride up with it to watch while a satellite is released. Then you control the booster rocket as you try to land it on a drone. You can learn quite a bit about space travel and have some fun all at the same time. When real-life space travel becomes possible, it will likely cost thousands if not hundreds of thousands of dollars. This experience is completely free. You don’t have to brick your iPhone 7 Plus just yet. There are plenty of VR apps for it. These aren’t just games, either. You can virtually travel, shop, explore space, watch movies, and…yes…play games. What do you think of our list? Did we miss any VR apps that you think are awesome? What is your favorite VR app for the iPhone 7 Plus? Tell us below in the comments.